More than 70% of the American population wants to see President Trump's tax release. 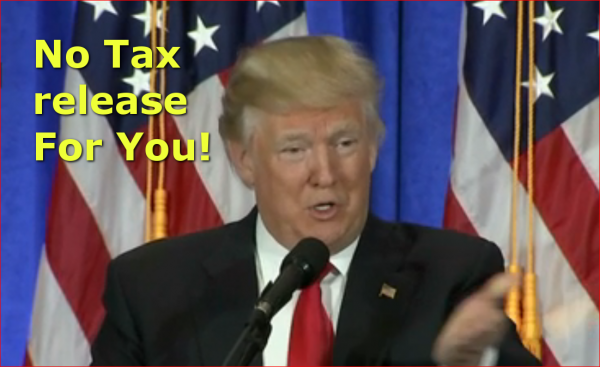 Do you think Trump will never release his taxes, or maybe some pressure from congress will make him release it? As of October 2017, Donald Trump did not reveal his tax return.